Occupying an area of approximately 4.5 hectares, the Maha Vihara Duta Maitreya Buddhist Temple is reported as the biggest Buddhist temple in Indonesia, and even in Southeast Asia. 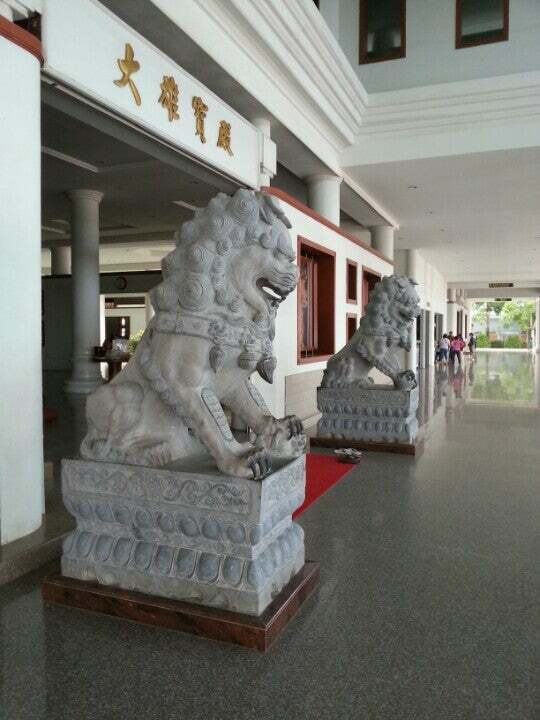 This temple stands majestically on the Mount Luckily, Batam Center. 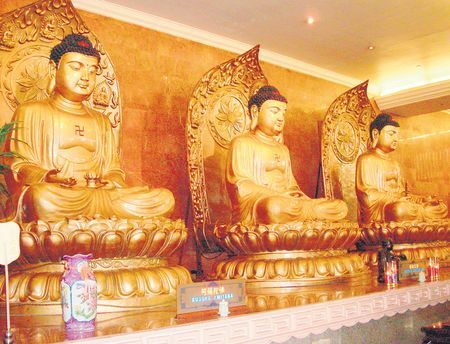 There is a striking gold-plated statue, called Maitreya Buddha. The statue is as high as 5 meters and located in front of part of the monestary on the 2nd floor. 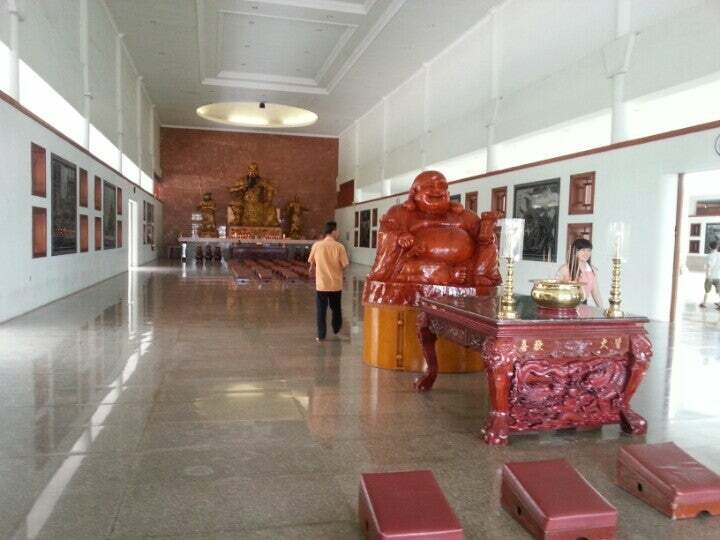 There is another Maitreya Buddha statue (similar height) that is placed on the third floor of the monastery. 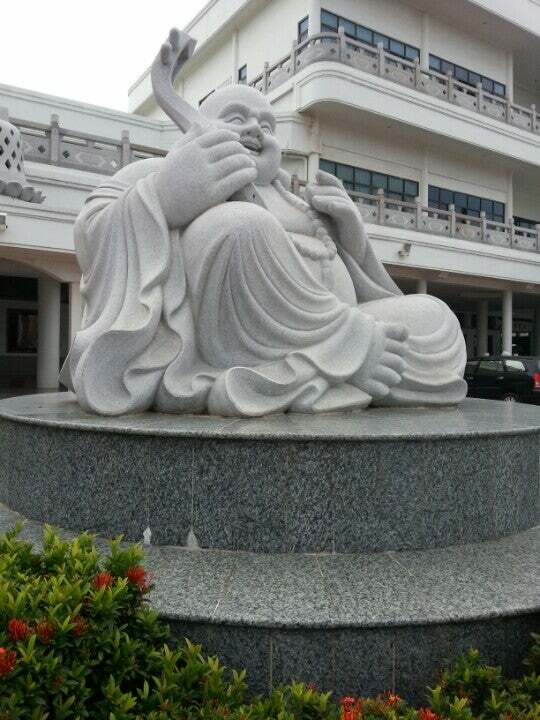 The all Maitreya Buddha statue were directly imported from China. 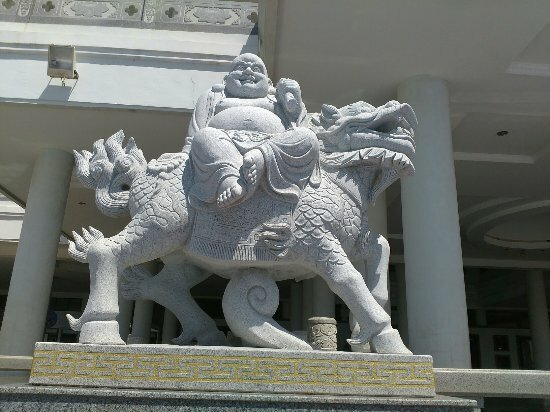 The Maha Vihara Duta Maitreya Buddhist Temple was built on 2 November 1991 and was inaugurated on January 23, 1999. 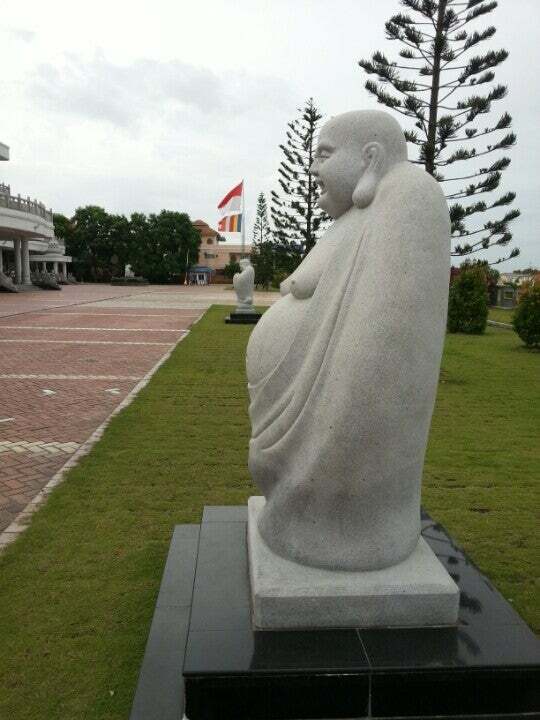 The idea of building this Buddhism temple came from the Supreme Leader Tao Maitreya, MS. Gao Shan Yu Ren who sent a message to Pandita Muda Harun, a local businessman and a devoted follower of Maitreya from Batam, to find an appropriate site to build a great temple in Batam. There are statues and temple reliefs of Maitreya Buddha in almost every corner of this temple. And there are 9 Buddha statues for worshipping and a dozens of Maitreya Buddha adorn the courtyard of the temple. 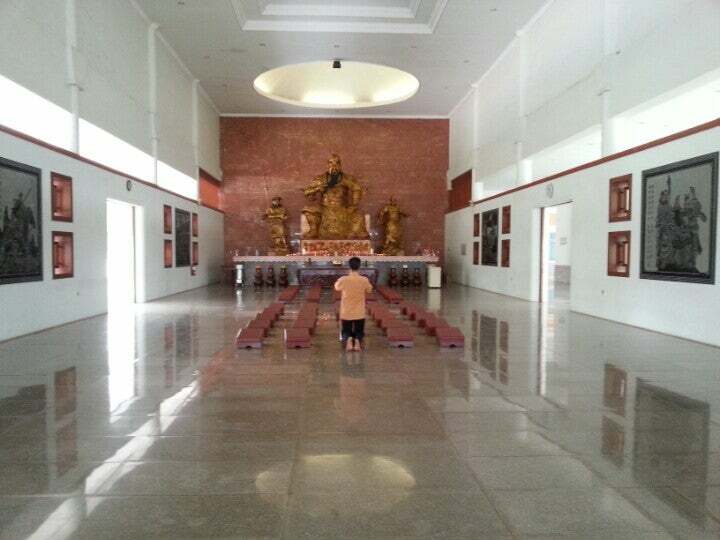 The monastery also has a school, a health clinic, and a restaurant that opens to the public. 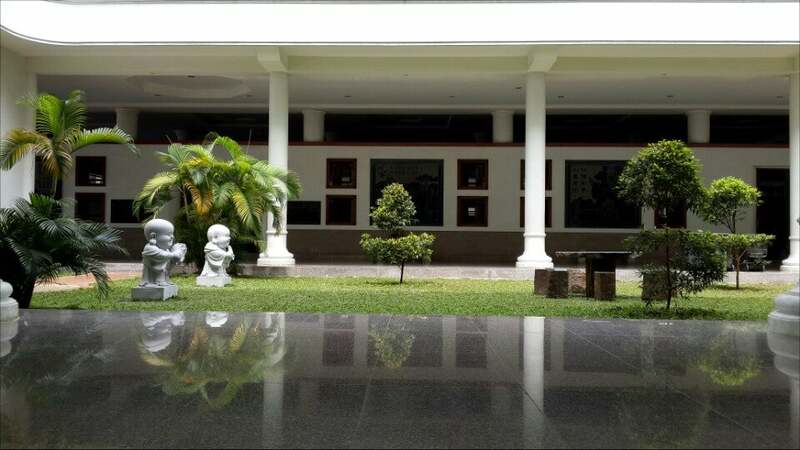 The Maha Vihara Duta Maitreya Buddhist Temple has received tourists both domestic tourists and foreigners from Japan, South Korea, Singapore, Iran, several European countries, as well as the United States.